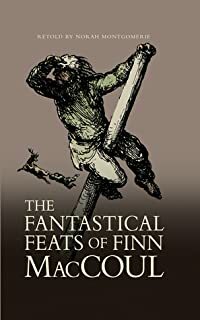 This collection of mystical folk tales about the Celtic hero Finn MacCoul is magical and bloodthirsty compendium full of humour, love and heroism. The legend of Finn exists in several cultures, but most notably in Scotland and Ireland, where he and the Fian, his band of loyal followers, are still important cultural figures. Many place names that grace the Celtic lands have their basis in these tales. Kyle Rhea, for example, between the Isle of Skye and the mainland is so called because of the terrible fate that befell one of the Fian while trying to save his wife - these warriors valued honour above all else. Justice was dispensed decisively to evil-doers and members of the Fian alike. Finn himself was more of a king than the kings he often met, for he alone was the arbiter of all conflicts. His was a life of constant risk combined with a simple belief in the power of good over evil. Finn travelled and fought wherever he was most needed. His dealings with the Lochlanners (Scandinavians) give us a stirring insight into a time where men risked their lives in pursuit of something more than mere wealth. This fabulous and evoking collection of heroic tales conjures a time and place where giants and magic were commonplace and danger was everywhere, where kings ruled over kingdoms, not countries.Companion to the best selling Folk Tales of Scotland. Only collection available of the Fenian cycle of stories. Stunningly illustrated by Paul Rumsey. 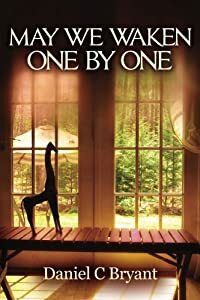 During her junior-year-abroad in Senegal, idealistic Beth Barton meets charismatic sculptor Malik Ndour and, without her parents’ knowledge, marries him. The couple’s arrival at her home near Portland, Maine, in early 2001, throws the parents’ marriage into turmoil, and soon puts stress on the newlyweds’ relationship as well. 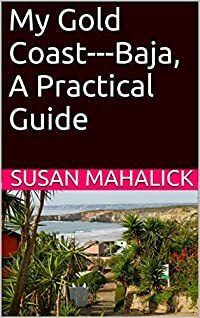 As a result of mounting domestic and racial tensions, the broader clash of African and Western cultures, and the attack of 9/11, Malik grows increasingly estranged and falls prey to a jihadist recruiter. Late one December night, on Portland’s freezing, fogbound docks, he sets out on his first deadly assignment. The ensuing crisis throws further light on the mindset of this particular terrorist, as well as on the diverse attitudes of his intimates toward him. One hundred years ago, a Russian physician named Nicholas Russel (alias Nikolai Konstantinovich Sudzilovskii) stormed the Golden State from San Francisco to Soapweed and penned an unvarnished account of campers and cranks, country dances and cutthroat capitalism. Russel's testy travelogue - entertaining, outspoken, often outraged, sometimes outrageous - was unearthed a century later in a Moscow archive by Stanford historian Terence Emmons, who oversaw its translation. Emmons's further inquiry into Russel's bizarre background yields the portrait of a man whose cantankerous spirit eventually led him into a dogfight with the Russian Orthodox Church, election to the presidency of the Hawaiian Senate, paternity at age 68, and a plan to incite an invasion of pre-Revolutionary Russia by Mongolian partisans. The result? 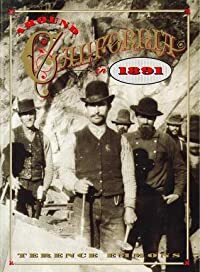 Around California in 1891 - a feisty slice of California history the Chamber of Commerce may have forgotten to mention. 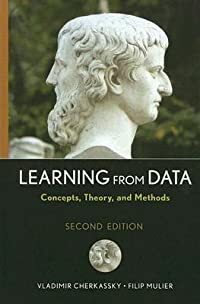 An interdisciplinary framework for learning methodologies--covering statistics, neural networks, and fuzzy logic, this book provides a unified treatment of the principles and methods for learning dependencies from data. It establishes a general conceptual framework in which various learning methods from statistics, neural networks, and fuzzy logic can be applied--showing that a few fundamental principles underlie most new methods being proposed today in statistics, engineering, and computer science. Complete with over one hundred illustrations, case studies, and examples making this an invaluable text. 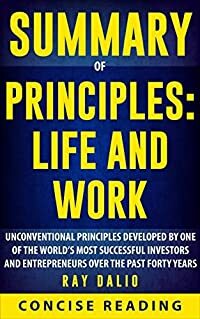 Summary of Principles: Life and Work By Ray Dalio Concise Reading offers an in-depth and comprehensive encapsulation of "Principles: Life and Work" By Ray Dalio, one of the world’s most successful investors and entrepreneurs. It helps you to save time and money while taking in the essence and wisdom of the original book; and also provides contemplative discussions that will allow you to appreciate the book even more. This companion book contains many tantalizing sections including: • Book Summary • Background Information About The Author • Discussion Questions And much more! 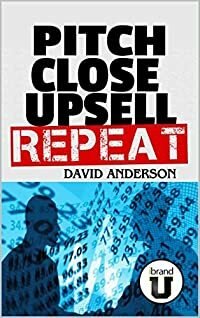 Get your copy and start reading immediately. *Note: This is an unofficial companion book of Ray Dalio's "Principles: Life and Work". -It is designed to enrich your reading experience and not the original book.